So, this will be the other side of the previous science-fiction category, in which the world itself would not feel like the one we live in now, whereby other races and creatures existed, probably alongside humans as well. As can be seen from the list of nominees, the movies are those which has creatures/races not of our world. Other films like this may include Riddick & After Earth. Oblivion is a tricky one though, as it centres mainly on humans, but the existence of an alien creature itself placed it here. And while Oblivion and After Earth have similar elements in them, AE is supposedly a rather big disappointment with very low quality both in plot and in characters. Oblivion, on the other hand, is strong on those aspects, but barely made it due to the brilliance and scale of the visuals of the films listed as the nominees. Pacific Rim is one that feels like a true science-fiction film with massive battle sequences between giant robots and humongous aliens. 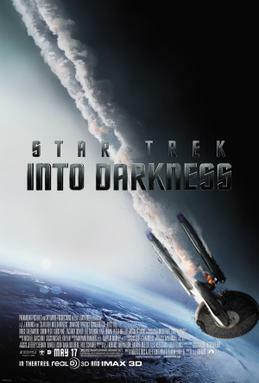 Into Darkness has the proper mix of story, drama, humour, and action as well, and a great twist of one menacingly terrifying villain. 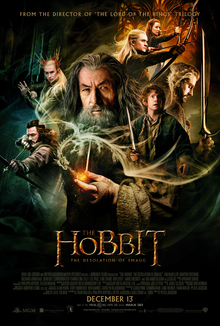 Meanwhile, The Desolation of Smaug is a vast improvement over An Unexpected Journey in nearly every way, is much more action packed, and delivers great visuals for a wonderful return to Middle-Earth. Plus, it has a more menacingly terrifying villain in the form of a dragon, and which is coincidentally voiced by the same person as the menacingly terrifying villain in STID. What a job this person has (*Benedict Cumberbatch). 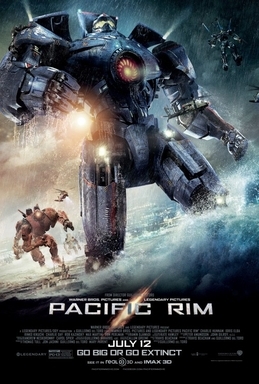 Pacific Rim was never in the game due to its rather simple plot and drama, but The Hobbit was just unlucky to lose out to Star Trek, which has the better of the overall quality. The Hobbit delivers what it ought to do with excellent visuals and fun action pack sequences, but is let down by minor flaws. Star Trek doesn't have those, delivering an excellent movie experience that seemed flawless for both fans and newcomers.